So-called ‘regular book thief’ goes to jail. Niza Jay Ncoyini is a Wits BA Dramatic Arts alumnus and is currently an actor, director, writer and filmmaker. 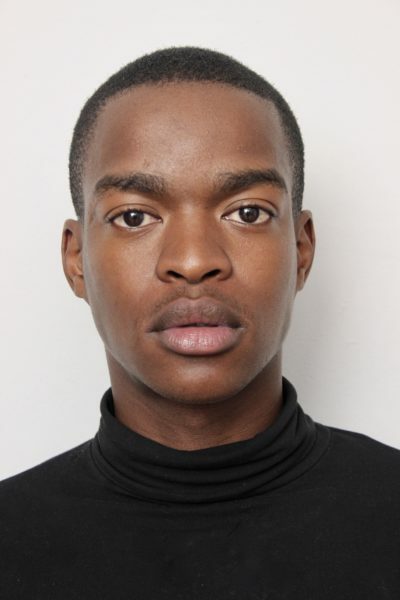 The actor appeared in South Africa’s award winning film, Inxeba: The Wound as well as Green Matter and Hello Au Revoir. Born in Mthatha, Eastern Cape as Ndiziphiwe Izicelo Ziviwe Azamkela Ncoyini, the openly queer young black actor seeks to take over the film industry through telling stories in his own way. I have a starring role in a new South African feature film directed by Louw Venter and produced by Urucu Media, which will be released later this year. I’m also directing my first play While We Hate, which I also wrote. It will run at PopART Theatre in June. What inspired your career in acting and directing? Watching Sarafina. When I saw Leleti Khumalo on screen, I knew I wanted to perform and tell stories in the same way that she did. I’ve only been directing for a few years, so I’m really taking time to define my voice and fine tune my perspective. I want to tell stories that encourage people to be better than they are. I also want to tell stories that make all people proud to be whoever they are, because as much as I have a very unique point of view, I do want to create work and tell stories that resonate universally. Have you always wanted to be an actor/ director? Yes. I’ve always wanted to be a performer and a storyteller. I believe that creating art is a sacred act. There are very few professionally trained actors who are working in our industry, and it shows. The quality of our films and TV shows is a testament to the quality of writers, directors and actors that we have in the country. What has been the highlight in your career thus far? Being nominated for a [South African Film and Television Award] for my first role, and becoming one of the few openly gay black actors to get nominated for a performance role in a film. I was nominated in 2018 for Best Supporting Actor in a Feature Film for playing Kwanda, one of the lead characters in Inxeba. What challenges have you faced as a young black gay actor in the industry? Very few people are writing complex gay and queer characters which I would be proud to portray, so it makes selecting work really hard. As much as I pride myself in being gay, overtly so, I also resent the idea that because I’m gay I have to play gay characters. I have the know-how and the skills to step in and out of any character. What advice would you give to youngsters who are trying to get into acting? Know who you are and know what you stand for. Work on your craft, don’t stop taking acting lessons/coaching, no matter how successful you get. There is always room for improvement. Engage with your industry, both local and international. When you know what is happening, you know what is out there for you to go after. Wits postgraduate LLB students earn a spot in an international law competition after winning the Regional Round in Africa. FNB Wits endure a disappointing loss against FNB Shimlas at home. Wits bus drivers refuse to accept new work schedule which allegedly seeks to do away with paid overtime.